In his second book Grigsby has amassed a delightful collection of humorous short stories that takes us back through our youthful days of innocent pranks and rollicking fun with friends and acquaintances. TALES FROM A CAROLINA CRAZY covers experiences from childhood through college days and into adulthood. The adventure, humor, thrill of the chase and much more takes us across the United States, Canada as well as through the Middle and Far East. This collection of stories written from a Southerner's point of view will amuse, entertain and enlighten you. 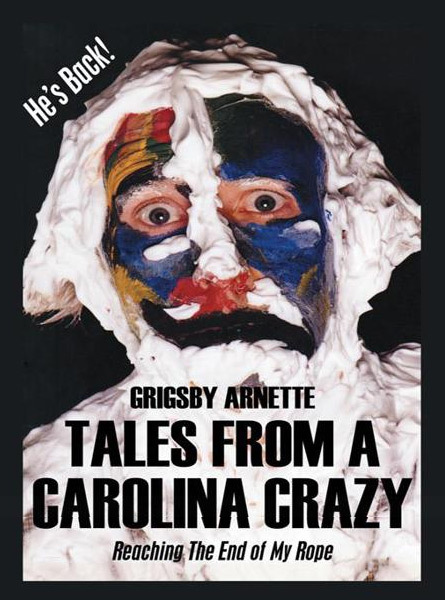 If you would like to find out what it was like to grow up in the South, travel across country and read about foreign adventures, then you'll certainly devour TALES FROM A CAROLINA CRAZY. CHECK OUT THIS VIDEO ABOUT "TALES FROM A CAROLINA CRAZY"! You don't have to get bogged down reading it like you do with a novel. Can catch a quick story and laugh in just a minute or two. Unique Christmas gift or stocking stuffer, the gift of laughter. If it is sitting anywhere in your house, people will pick it up. They cannot resist after just seeing the cover, which is certainly eye catching! take someone a book instead of a bottle of wine. The book lasts forever! A one of a kind, rated the number 1 short story book available. 108 completely off the wall short stories. for yourself or that someone special. Grigsby Arnette was born and raised in South Carolina where he spent his youth exploring the Atlantic ocean, the waterways and national forests of the area, always seeking adventure. As a tennis professional he has traveled around the world fifteen times experiencing quite a few changes in customs and cultures. He has also lived in many areas across the United States. He is recognized by the USTA and the USPTA as a well respected coach on the international level. He has also coached many foreign Davis Cup teams. In addition to his tennis, he is a professional percussionist, fisherman, hunter, mountain climber, scuba diver and dirt biker. 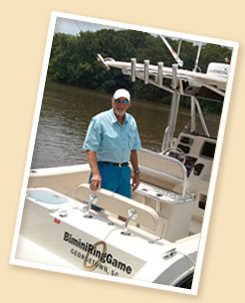 He also is the inventor and owner of BiminiRingGame.com. Grigsby has always had a quick wit, love for life and an unquenchable thirst for adventure. People ask me, "Is that you on the cover?" I always respond, "I am not going to say if it's me or not, but I will say...it was one hell of a night!" The events and happenings told within this book are authentic. Many have been told and rehashed hundreds of times by a variety of people over the years. They have become distorted, misinterpreted and in most cases pretty far-fetched. Great pains have been taken everywhere to preserve the embellishment that has long clothed many of these tales with humor and irony. The subjects range from the Great Smoky Mountains to the seas of the Southeastern United States, all across the country and Canada, the Mid East and the Far East. Its scope ranges from childhood and college day pranks to the dilemmas and events that be-chanced adulthood. These stories are woven of fish and beast, pranks and humor, the thrill of the chase, chance happenings of youth and the peculiarities of foreign travels. These stories have been gathered from members of family, close friends, dwellers of the countryside, the untamed mountains, the sandy seashores, the vast wildernesses, the wild jungles and the great pyramids. A few stories are my own experiences encountered alone or with good friends. Many other stories were carefully researched and found humorous, amusing and entertaining enough to share with others. 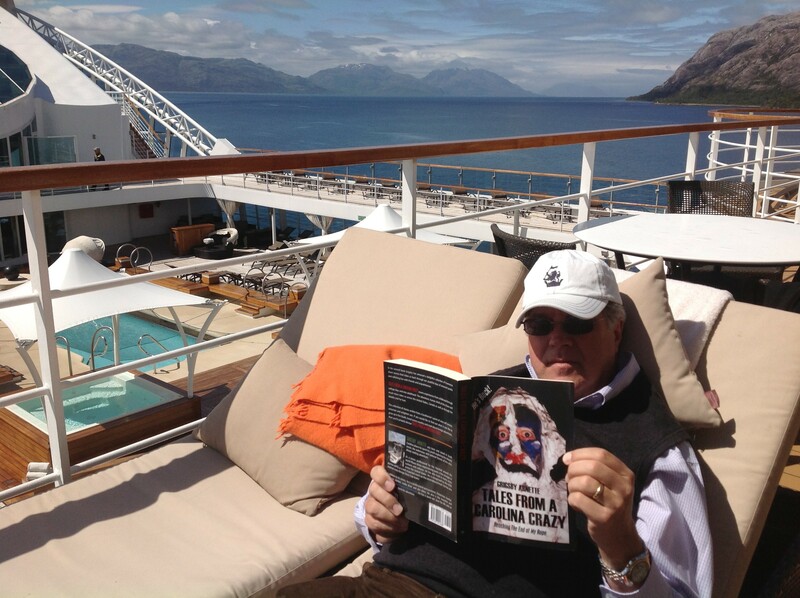 This book is written from an Animal House point of view incorporating sarcasm with much used slang. The purpose is to amuse and entertain, possibly leaving a touch of nostalgia with the reader. The use of language and wording is purposeful in hopes of capturing the emotions of each situation precisely as they occurred. Fictitious names have been created for the characters in all stories. Any semblance found with these stories and characters by the reader is sheer coincidence. This is merely to serve as discretion for the true identity of the characters involved. So, grab a seat, make yourself comfortable and oh, buckle up. Houston, we have a problem! 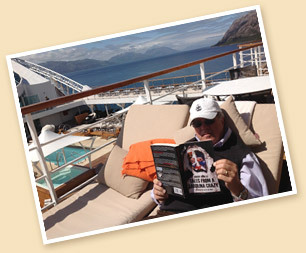 Price of $24.95 includes your book autographed by the author, plus priority mail to your door. If you want it autographed with something cool or amusing, please type in exactly what you want it to say on the checkout page (comment box) and please make sure you spell the person's name correctly. Over 100 of the funniest and craziest short stories you will ever read on the planet! Click here to read a Sample Story! THE REPAID GRUDGE LOST YOUR HUBCAP? THAT 60’S HIPPY THING, MAN! I’M HUNTING WILD BOAR NOT TWENTY FOOT MONKEYS! NOTE: If you would like to join in on the extra fun by joining our closed group on Facebook, just let us know. On this page you will get to see some pretty wild and funny pictures as well as be able to catch some more of Grigsby's writings concerning other off the wall issues. Grigsby also has his own newspaper column as well as writes some very interesting sports articles. If you would like to get into his closed group, 'WHAT'S ON MY MIND' click here and it will take you to Grigsby's Facebook page. Once there send a message requesting to be added to our group. We will take care of it from there and you will be notified ASAP. Other places you can get your copy or download online for $3.99 are at Barnes & Noble, Amazon, Kindle, eBooks, Author House or your favorite bookstore. The only drawback...it will not be personally autographed by the author. 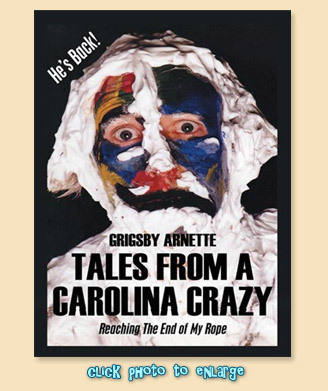 Regardless though...you will enjoy and get many laughs from Tales From A Carolina Crazy wherever you get it...very funny!! A 100% five star rating. Copyright © 1982 - 2020 by Bimini Enterprises, Inc. All Rights Reserved.